Banner Photo: Author in Amsterdam for the Minding Animals conference, 2012. Top Left: Author in Atlanta 2014. Photo by Ann Packwood. 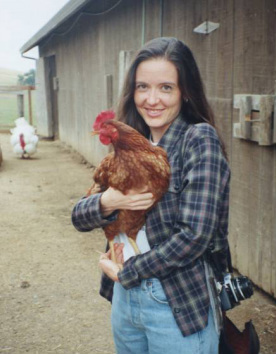 An animal rights advocate for the last two decades, and vegan since 1996, she has volunteered as a local grassroots activist leader for the Vegetarian Society of Southwest Florida, the Speak Out for Species student group at Univ of Georgia, and Univ of Oregon's Students for the Ethical Treatment of Animals. She now volunteers for the Georgia Animal Rights & Protection group and serves as an indie radio cohost for WRFG-Atlanta 89.3FM's "In Tune to Nature" environmental program and "Second Opinion Radio" animal rights program. 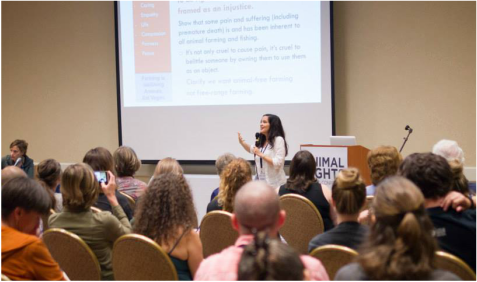 Dr. Freeman speaking on book to 120 activists at the Animal Rights 2015 conference in DC.